Acer today announced that it is accepting entries for its Acer STEAM Lab Makeover for K-12 schools in the United States. The winning school will receive 10 Aspire 7 laptops and 10 Acer Windows Mixed Reality headsets, valued at $13,000. STEAM Labs help students explore connections between science, technology, engineering, arts and math, and delve into emerging fields like 3D modeling and design, electronics, digital media and fabrication. Schools may submit entries now through Aug. 31, 2018 and the winner will be announced in early September by a random drawing of all valid entries. To enter, applicants must Tweet @AcerEducation with the hashtag #AcerGivesBack along with a brief statement describing why their classroom deserves to win a makeover and how the makeover would make a difference at their school. The statement may also include a Twitter post, picture or video attached to the entry Tweet. The Aspire 7(A715-71G-71NC) features an Intel Core™ i7-7700HQ processor, a 1TB hard drive, 15.6-inch Full HD display, NVIDIA GeForce GTX 1050 graphics, 8GB of DDR4 memory, a wide range of ports and advanced connectivity with 802.11ac wireless LAN and Gigabit LAN. It is available for $899.99 (MSRP). 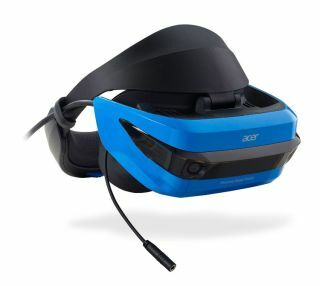 The Acer Windows Mixed Reality Headset with wireless motion controllers pairs with the Aspire 7 and is available for $349.99 (MSRP). It immerses students in the virtual world, while allowing them to interact with others in the physical realm without removing the headset – all that’s required is a flip up of the headset visor. Entry details, rules and regulations for the Acer STEAM Lab Makeover may be found on the contest website.